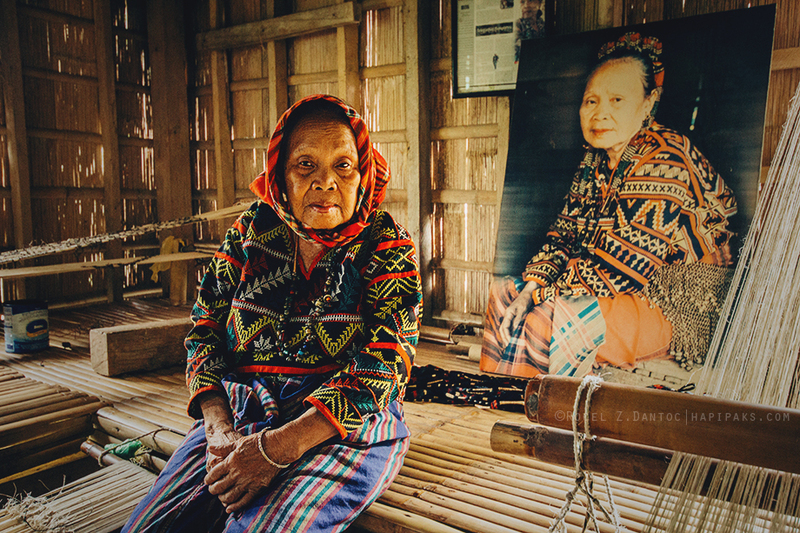 Lang Dulay’s eyes were occasionally shut, as if going in between sweet slumbers while we were taking her photos. 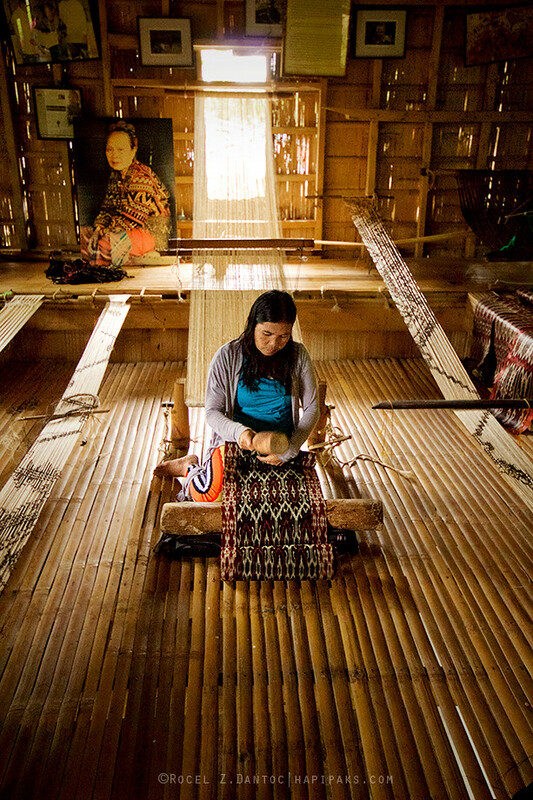 She was still noticeably sleepy when we met her that morning to see her home, a museum of sorts to her works doubling as a weaving center of T’nalak for other T’boli women. But beyond those sleepy eyes and quiet demeanor, her presence exudes the depth of her experience, a master of her craft, a National Living Treasure, the master dream weaver. At the age of 12 her first work of art came in the form of a dream, having received the first pattern of her design from the god, Fu Dalu. Her dream didn’t stop from her designs. 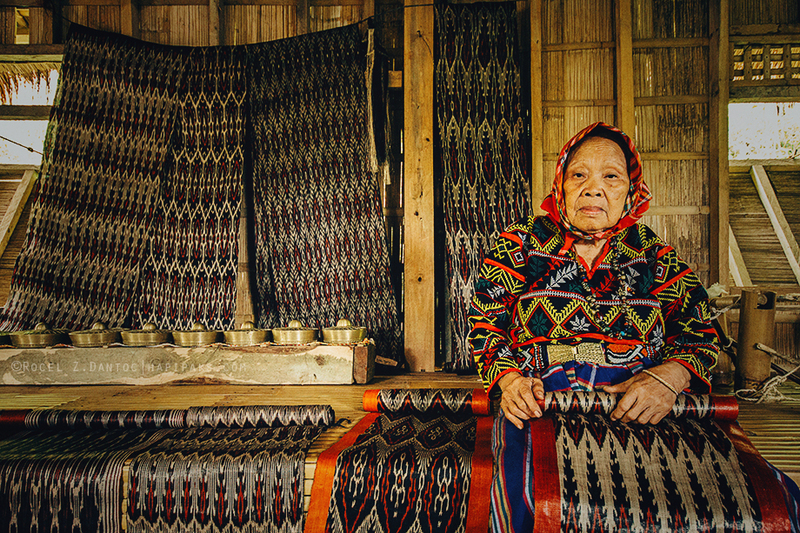 When she was recognized with Gawad sa Manlilikha ng Bayan Award, she dreamed more for the T’boli tribe (especially for her grandchildren) and established a weaving center – Manlilikha ng Bayan Center – for the women to continue on with the art of T’nalak weaving. Both women were staring at me, both wearing the same intricate fabric. I know they are the same, but between her and the faded photograph, you can clearly observe the stark contrast from the portrait of her young self. She was already in her 90’s, the creases on her face are now more defined, her stance easily tired and her gaze far-off. 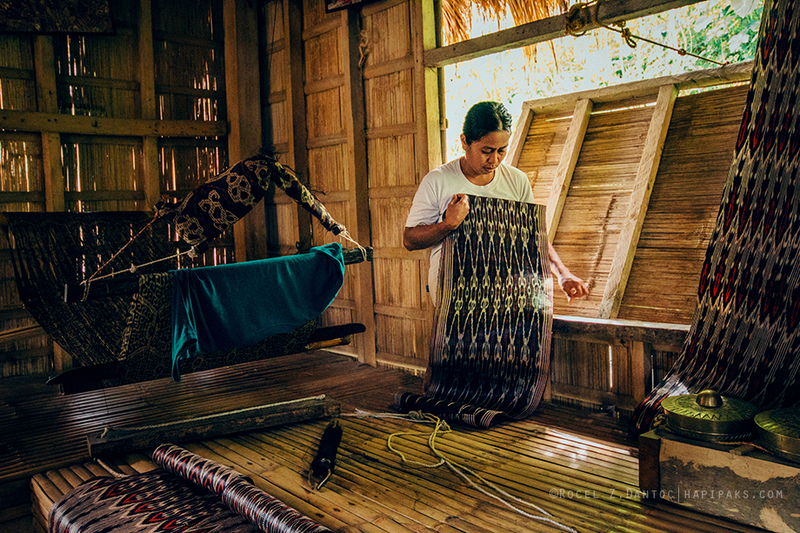 Old age had already hindered her to continue weaving, and had to be contented to inspire T’nalak weaving on the sidelines through her designs. We visited her last December. 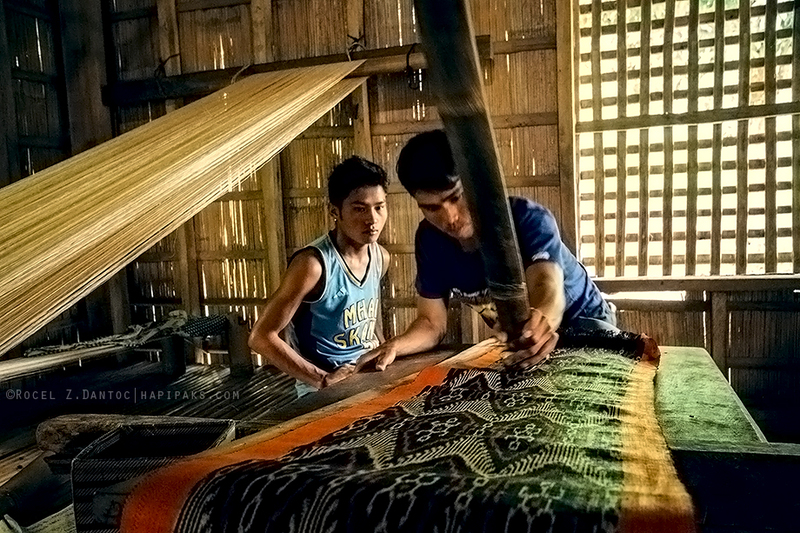 We even had a T’nalak fabric ordered to be finished in 3 months. But just a month after our visit, we were surprised by the news that she fell into a coma after suffering from a stroke. Now, we are deeply saddened by the loss of a national artist. 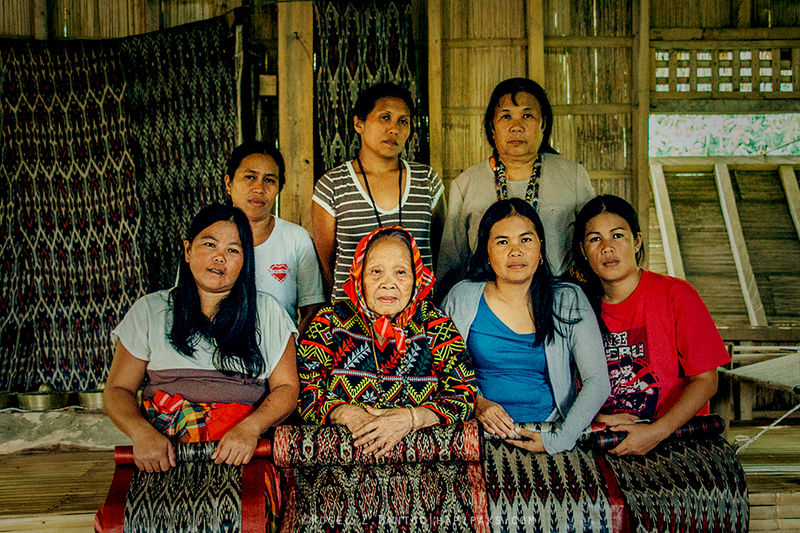 We still consider ourselves fortunate to have met Lang Dulay just before she got sick.We have not only known for her world-renowned T’nalak fabrics but simply for her fascination for lipsticks, a token we brought her and her grand children, who were all excited and giddy while each one choosing the perfect color. It was just a simple appreciation for their hospitality and for the creativity and inspiration they all bring. 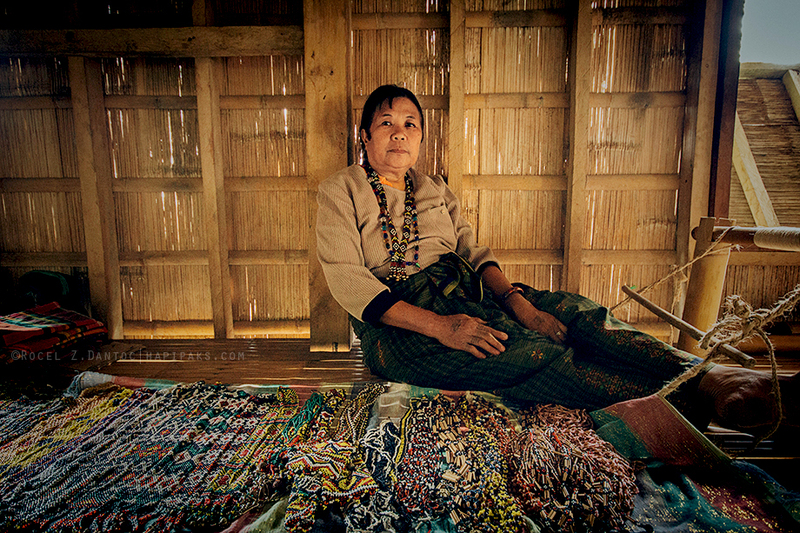 We can still support the indigenous tribe of the T’boli’s by supporting their products. 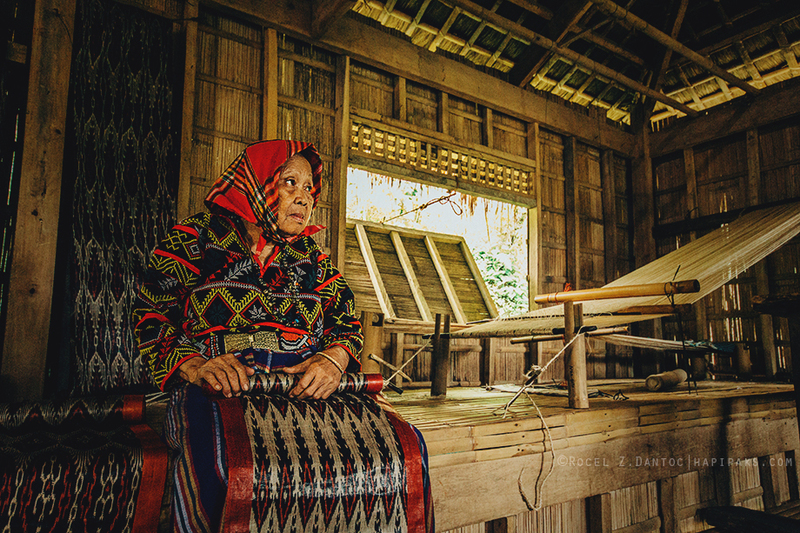 Located in Lake Sebu, South Cotabato, below are the places you can visit to experience the tradition of the T’boli people and buy their products. 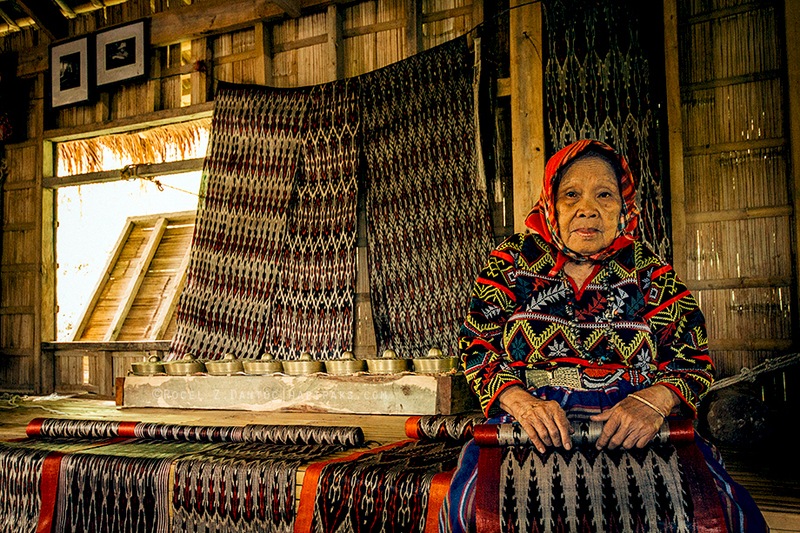 Lake Sebu is a fairly small community, you can get around these known places easily by hiring a habal-habal.